The president and vice president will once again travel throughout the country this week to campaign for Republicans ahead of the November 6 midterms. Vice President Pence rallies with Congressional candidate Troy Balderson (R-OH) at a GOTV event on Monday in Ohio, while President Trump heads to Tampa, Florida to campaign with gubernatorial candidate Ron DeSantis (R-FL) on Tuesday. On Thursday, the president travels to Wilkes-Barre, Pennsylvania, to hold a ‘Make America Great Again’ rally with Senate candidate Lou Barletta (R-PA). With the midterms top of mind, liberal activists will travel to New Orleans on Thursday for the annual Netroots Nation convention. Speakers this year include Tom Steyer and Sens. Elizabeth Warren (D-MA), Cory Booker (D-NJ) and Kamala Harris (D-CA). 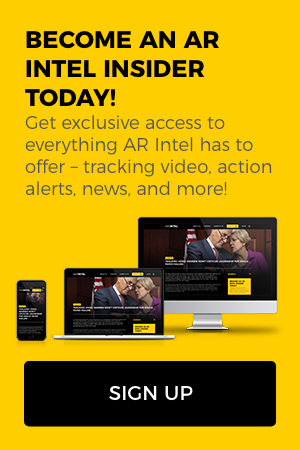 To read more, become an AR Intel subscriber today!